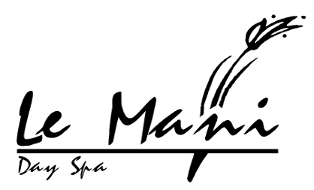 The Customized Facial is Le Mani's signature facial! Our estheticians skillfully adjust product use to suit your skin's specific needs using professional exfoliating peels, micro-buffing, steam treatment, professional deep cleansing, specialty serums, and ampoules as well as customized masks. This treatment is completely centered around your individual requirements and a myriad of special touches leave you feeling and looking relaxed and regenerated - guaranteed! After a thorough consultation with your Esthetician analyzing your skin, diet and homecare routine, a treatment plan will be discussed. This facial focuses on treating pore congestion and inflammation, gently and effectively. 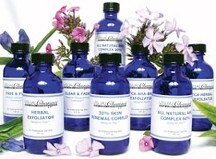 Calming and soothing extracts are used in conjunction with results orientated peels. A series of these treatments along with a specific homecare program usually yields significant results within 12 weeks. Finally a solution to this serious skin condition. This results-oriented, soothing and elevating facial brings relief and results to dilated capillaries, congestion, blotchiness, and irritability. Nonirritating and healing ingredients in serums and masks such as green tea, chamomile, licorice and rose in the treatment, if combined with homecare advice result in more controlled and calmer healthier skin. This facial delivers good basic skin care suited to more normal skin types, from cleansing, light exfoliation under steam, deep pore cleansing with extractions, and mask, completed with moisturizer. The facial includes a hand treatment. Using a fine jet of crystals to efficiently exfoliate dead cells, this treatment rejuvenates and revitalizes your skin. You are left with new, softer skin of a more even texture. Microdermabrasion can be successfully used on dark or light skin and is generally indicated for fine lines and wrinkles, age spots and hyper-pigmentation, congestion and dull skin. All the luxury of Le Mani's signature facial with the added benefit of a microdermabrasion treatment included! Our estheticians skillfully adjust product use to suit your skin's specific needs targeting problem areas all the way down to the decollete with microdermabrasion at a strength customized to your skin. 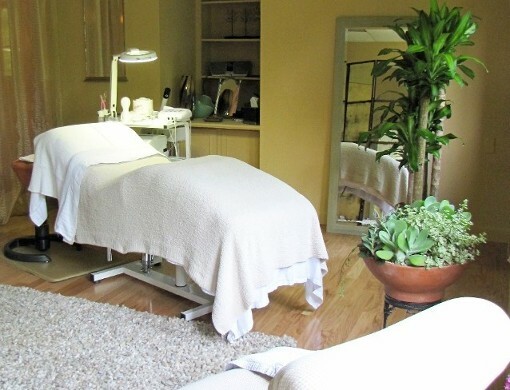 Thorough deep cleansing and pampering tissue massage, specialty serums, gels, and ampoules are all part of this fabulous facial leaving you rejuvenated and glowing. A unique skin care treatment designed to enhance your natural glow and is achieved with very light buffing from microdermabrasion, accompanied by cool refreshing products and hydrating masks. Perfect for a lunchtime pick-me-up and guaranteed to leave your skin luminous for that special event. A state of the art technology, Microcurrent is the perfect solution for the person who is concerned about the aged appearance of their face but would like to avoid surgery or invasive procedures. Microcurrent achieves a healthier, younger, toned and refreshed appearance. In conjunction with specialized products and manual manipulations of more than 30 muscles, a Microcurrent treatment stimulates your body's natural currents resulting in visible firming of muscles and smoothing of the skin. Le Mani's signature Customized facial with the fabulous face lifting benefit of a microcurrent treatment included! The Microcurrent Customized Facial is most often turned to before that big event as it truly revives even the most tired of complexions. This is the ultimate anti-aging facial where our estheticians skillfully adjust product use to suit your skin's specific needs. Your Le Mani skin therapist is trained to deliver immediate improvement to your skin using the appropriate chemical peel. Different blends and strengths of peel are used to target and treat specific skin concerns. Very real results are achieved by treating acne and rosacea skin conditions with our Clear and Fade peel containing azelaic, salicylic and lactic acids. Mature skin with pigmentation issues is addressed with Fade and Firm blending TCA with Lactic acid, Kojic, and Mulberry root extracts. Generally, a course of 6 peels fortnightly achieves best results when actively addressing a skin issue, but a peel anytime is a welcome pick-me for any skin type.